STRESSING THAT it was important for India to join the Belt and Road Initiative (BRI), China’s Ministry of Foreign Affairs has said that it is willing to engage in “in-depth communication” to address Indian concerns. Senior MFA officials also said that China supports Indian efforts to play a bigger role in international affairs and expressed hope that India would respect Chinese concerns, especially those involving the Dalai Lama and border disputes. “We had invited India to the Belt and Road Forum and hoped they would join the initiative, but India has expressed concerns. We think it is important for India to participate in this programme. We are ready to have in-depth communication with the Indian side to address their relevant concerns,” said Yao Wen, Counsellor of the Department of Asian Affairs under China’s MFA. The official said he hoped that India would “understand” China’s position and join Chinese President Xi Jinping’s initiative. According to Yao, Japan and the US had made positive statements about BRI. “So we do not want to see absence of India in BRI. We hope India can join BRI, which is beneficial to the development of this region,” he said. On Wednesday, Xi made multiple references to BRI in his address to the 19th National Congress, an indication of the project’s importance. The ambitious initiative aims to leverage China’s manufacturing clout and enhance trade by connecting Asia, Europe and Africa through a vast network of roads and two sea routes. India chose to skip the the inaugural Belt and Road Forum in Beijing in May, which was attended by 29 heads of state and where 270 MoUs and agreements were signed. India is opposed to the BRI, citing the China Pakistan Economic Corridor, which runs through POK. “India has expressed its concerns on CPEC because they believe CPEC passes through territory they believe is their own. One important project is the Karakoram Road. This is the only land passage between China and Pakistan. It was completed in the 1970s and we are upgrading this road for more convenient transport. We keep telling our friends in India that the BRI and CPEC are not about territorial claims and will not affect China’s position on the Kashmir issue,” Yao said. The official said China considered the Kashmir conflict as a top priority along with the Korean Peninsula, the South China Sea dispute and instability in Afghanistan. Just weeks after the BRF, ties between India and China sunk to a low following a military stand-off in Doklam. Ties improved after the BRICS summit in Xiamen where Xi and Prime Minister Narendra Modi held bilateral talks. 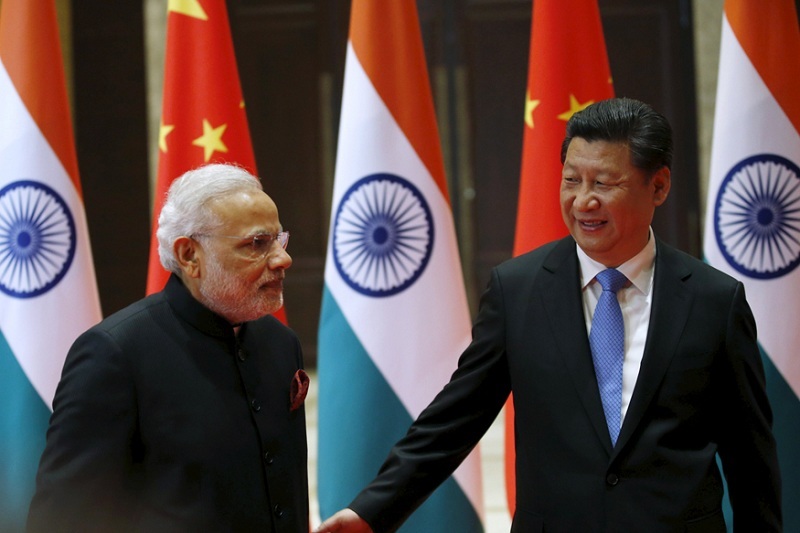 “China-India relations have seen twists and turns this year. As the major countries in this region, it is natural that we have some disagreements,” Yao said.